ABC’s Wednesday night drama Nashville just entered its second season, and though like many network television dramas, the drama can feel over-the-top and contrived, the show’s impact on a wide range of issues that fall under the charge of Saving Country Music is undeniable, if not unprecedented. Shot within Music City, showcasing music from independent artists overseen by Executive Music Producer Buddy Miller, and barreling head first into many of the important issues facing the country music industry in 2013, Nashville is as an important player in country music politics, and is as influential as anything else in country music media right now. Though I wouldn’t necessarily recommend the show to distinguishing consumers, it’s still important to understand Nashville‘s impact on mainstream consumers who may see the music industry as a mystery. Like so many mass produced products, if consumers actually knew where their music came from and how it was made, they may not find it so appetizing. An educated consumer makes better choices, and every week Nashville pulls the curtain back and gives a surprisingly accurate portrayal of country music’s internal workings. So let’s take an in-depth look at some of the lessons country music consumers are learning from Nashville. This is the overarching, founding theme of the show. The hot, young starlet Juliette Barnes is on the rise and pushing the aging legend Rayna James out of the spotlight. Emanating from there are more specific themes and story lines throughout the show that speak to just how callus the industry can be with aging stars. Season 2 opens up the theme where a reality TV star threatens to depose Juliette Barns as her label’s top focus. Also during the first season, up-and-coming country rocker Avery Barkley gets signed by a big label and producer from Atlanta, and then is subsequently forced to fire his band, and eventually burns the masters of his recordings when the producer manipulates his music to sound like something he doesn’t want. In the first episode of the second season, main character Juliette Barns wants to delay the release of her album, but when she talks to her manager about it, her manager replies that “The label has been sucked into this massive conglomerate.”—a problem that is very real for many artists when mergers and acquisitions happen in the business and artists and their music gets marginalized. In episode 2 of season 2, a reality TV star threatens Juliette’s career. These narratives and others throughout the show are not just very close to the realities many artists face, some of them are downright ripped from the headlines. As it is in the real music business, artists are regularly toyed with and manipulated by the industry at the expense of their creative freedom. Possibly the most important element of the show, three of its main characters are artists that are not big time, but struggling up-and-coming musicians and songwriters: Scarlett O’ Connor, Gunnar Scott and Avery Barkley. Likely as the series progresses, these characters will continue to climb the ladder of success, but through the first season and along their ascent, viewers see the everyday struggles independent artists go through, while at the same time seeing that their talent is often equal, if not greater than the big artists playing the main stages. Nashville‘s up-and-coming artists are observed playing small shows in Nashville’s independent music joints. They’re seen scrounging for rent, struggling to write songs, etc. This exposes viewers to the reality that there’s more to the music world than mainstream radio and stadium shows. Back in the real world, Nashville has become an invaluable outlet for independent country and roots music. Showcased in the soundtrack for the show have been up-and-coming artists like Caitlin Rose, Lindi Ortega, Shovels & Rope, Ashley Monroe, Derek Hoke, and many, many more. With original Executive Music Producer T Bone Burnett, and current Executive Music Producer Buddy Miller, the music of Nashville has an unapologetic, non-industry, independent, Americana bent. Yes, there’s mainstream music as well, but it’s not always portrayed in a positive light. Not only does a song showcased on Nashville give these artists great exposure to a national audience, it is a financial windfall. Behind-the-scenes songwriters also benefit when the main characters sing their compositions. Nashville has also given little cameos to cool, noteworthy artists like Del McCoury, Sam Bush, and Dan Auerbach. Independent, knowledgeable music consumers already know this, just like they do many of the inner workings of the music industry. But the passive fan may not realize that what they’re hearing from their favorite stars is in fact an original expression from someone else. Nashville has gone very in-depth in its exploration on how the songwriting process works down to some of the smallest details. Viewers of the show watch main characters like Scarlett O’ Connor and Gunnar Scott navigate the entire songwriting process of getting signed to a publishing house, writing songs in an office setting on Music Row, having songs put on “hold” (meaning a bigger star is considering recording and releasing it), etc. etc. Another character, Avery Barkley goes through a struggle of whether he should sign over his publishing rights or not while in negotiations with a label. Numerous other specifics of the songwriting process that even educated music consumers may not understand the ins and outs of are illuminated in the show. From shots of the Bluebird Cafe where young artists and songwriters develop their chops, to the character Scarlet O’ Conner auditioning for Rayna James’ new label near the end of season 1, Nashville gives a mostly realistic insight into how an artist goes from writing songs in their bedroom and playing dive bars, to being developed into a star. And Nashville does a good job showing both sides of the coin—the victories and the pitfalls. Whether it is on the stage or on the radio, the spotlight rarely shines on the sidemen who are just as seminal to performing, recording, and sometimes writing the music, let alone being there as friends, confidants, and psychiatrists for big stars. This very real, and very important position in popular music is embodied on Nashville by good guy Deacon Claybourne—the guitar player for Rayna James, and later for Juliette Barns, and mentor to his niece Scarlett O’ Connor and her (sometimes) boyfriend(s) Gunnar Scott and Avery Barkley. At one point in season 1, pop country character Juliette Barnes is criticized by guitar player Deacon Claybourne for being too much about show, and not enough about substance. When Deacon sees the size of Juliette’s entourage, he quips, “Johnny Cash only needed two.” This stimulates Juliette Barns to re-focus on her songwriting, and to do a solo acoustic performance at one of her concerts against the wishes of her management. The performance ends up being a success. All of the episodes from season 1 were named after Hank Williams songs. All the episodes from season 2 are being named for Patsy Cline songs. One of the episodes in season 1 was centered around the Ryman Auditorium, the historic, original home of the Grand Ole Opry, also known as the “Country Music Mother Church.” Along with many other important country music landmarks that are featured here and there in the series, watchers are passively receiving a country music history lesson. 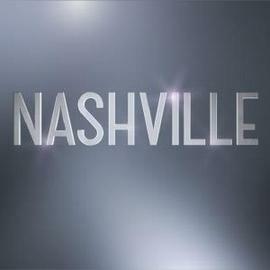 Though a very small thread in the series, in the pilot episode and the extended trailer for season 1, Juliette Barnes’ manager says, “Thank God for Auto-Tune” while Juliette is singing in the recording studio. This continues to help get the word out about the pitch-correction tool that some artists use as a significant crutch to make up for their vocal weaknesses. Despite the spotlight being mostly on the drama between the characters in the series, songs play a seminal role in Nashville. Whether they are the setting for a dialogue between two characters, or the centerpiece of a scene at the Bluebird Cafe, songs are handled with great reverence in the series, and the series goes a long way toward educating viewers of why songs are important. Nashville shows that it is cool not just to hear, but to listen. As a seasoned Americana and rock songwriter/performer who has recently tried the Nashville scene with songs deemed too edgy. Though some publishers have said these types of songs are “beginning to get cuts”, contemporary country is still stuck in the ‘trucks down by the river” genre. Hopefully a positive influence of this show will be that people begin to get tired of the pop country that rules today’s playlists as widen their musical palette. At least spell their names correctly. Funny, I watched last night for the first time. My stepdaughter is in town and she’s a regular watcher. I noticed a couple of things, one, the song that the one character sang about the “Outlaw”, was a pretty decent song, and two, I heard a “Wild Feathers” song play for about five seconds in a transition scene. I don’t think I could become a regular watcher just for those two reasons, but surprisingly, it wasn’t as bad as I thought it was going to be. Sorry Jeb, that comment was aimed at the author of the column, not at you. Excellent piece on one of my favorite “guilty pleasure” shows! Thanks for a very informative analysis Trig. Additionally, the actors are great and it’s beautfully shot. On top of the artists that you mentioned, we saw Pam Tillis and Jim Lauderdale in season 1 (no wonder, a great friend of Buddy Miller). I started watching this show with my fiance’ mid-way through last season when ABC began re-airing it from the beginning. Yeah it’s a soap opera, but as someone who considers his annual road trip to Nashville as something of a religious experience I get a huge kick out of seeing actual Nashville locations on the show, especially when they do scenes shot in bars on Broadway. Plus there are the cameos by actual artists and the use of traditional country music as back ground in scenes. As a legit country fan there’s enough easter eggs in the show to make it really enjoyable. I watched a few episodes, not bad! a song-writer buddy of mine put one of my songs up for placement on the show, but they said it was a little more alt country than they were looking for, and that they were looking for more of a modern travis tritt or something along those lines…still, i felt pretty cool. The show’sbiggest fallacy is that women in country have a strong presence. The most important characters are Rayna, Juliette and Scarlett. The men are secondary and forgettable. If only. Great article and pretty much spot-on. To the best of my knowledge I have seen every episode of this show–it has its cringe-worthy (i.e. “soapy”) moments to be sure, but I like the insider-y peek it gives into the industry and the scenes from local landmarks I recognize. One item the show is (sort of) addressing you omitted is Nashville’s homophobia. And I wish the show would be more honest about the crap getting played on the radio–if (some of) the songs from the show were getting played on the radio, maybe I would still be listening. Agree with the above comment regarding the show’s fallacy about the influence of women–your article earlier this week nailed it. Great Post for commercialized SOAP…with a TWANG! The last episode was interesting at thd end when the showed the reality singing show runner up. It seemed like how a lot of people viewed Carrie Underwood. Side topic: I dont understand Cassidey Pope. She was a punk rock chick who all the sudden goes country (whatever) and CMT gives her her own reality show. She is irritating at best. Trying to paint her as a country artist makes me want to puke. One minor thing that Nashville does is name all its episodes after classic songs. All the first season episodes were named after Hank Williams songs. The first two episodes this season were named after Patsy Cline songs. I think it’s time to realise that Sturgill Simpson is the baddest MOFO alive. His comparison to Waylon is not his sound but his uncompromising nature. I watched Nashville for the first time. It is a good representation of everything that is wrong with progressive country. The overacting was plain out irritating. I found it mind numbing and very similar to “Dallas”. I did listen to a good song, “This Town”, by an independent artist. Aside from that, I was bored with the non-stop dialogue. Thanks for this article on one of my favourite shows. As a Brit I know nothing about mainstream country music (although Americana/alt country and old school country rock are essential listening over here for anyone who likes their music guitar-flavoured). So while I don’t pick up on everything, the use of music as ‘costuming’ for the characters, as well as reflecting their professional/artistic journeys, is something I find captivating both as a TV concept as well as in terms of story. While it is a soap and has its overblown aspects, some the performances are astonishing. One thing I particularly enjoy is when the characters watch each other perform. There’s always a cocktail of emotions there, based on the backstory and relationship dynamics and the actors do a fantastic job of making it real without any words. Love it.